Join us for a fun, nature run out in the Temecula Valley Wine Country! These trail run/walks are going to be breathtakingly beautiful! 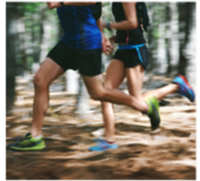 Across from Lake Skinner at the 12 Oaks property, the trail run courses are on wide fire roads, with rolling hills surrounded by grapevines, natural rocks, grass, creeks and trees. You will feel fresh and free as you take on the Half Marathon, 10K, 5K or 1K course! • Be a part of the Team Challenge – prime reserved location just for teams 5 members or more. Create a team and show your spirit – dress in costume! Vendor and sponsorship opportunities are available – contact charityforcharity07@gmail.com.